Humans produce a lot of waste. Americans alone generate a whopping 220 million tons each year. This figure significantly outnumbers the waste production of any other nation in the world, which should raise a red flag. Thankfully, the government and several environmental organizations are working on various methods of dealing with the problem. Waste management recycling is a complex solution that covers over 20 different industries. It refers to the collection, transportation, and proper removal of sewage, trash, and other waste products. What is Waste Management Recycling? Waste management refers to the intricate process of treating solid wastes. It provides a variety of answers to recycle objects that shouldn’t end up in the garbage bin. Waste management also deals with using trash as a valuable resource, something that each individual and every household should learn. Green waste management gets rid of used products and substances in an efficient and eco-friendly manner. There are several groups of waste management processes, each of them separated into numerous categories. Among those groups we include recycling, source reduction and reuse, animal feeding, fermentation, composting, landfills, and incineration. While most of these methods refer to industry-wide actions, you can also start using some techniques at home. Here are some of the materials that can – and should – be recycled. Thanks to the many advances in recycling technology, people have more options to reduce their waste than ever. And this is particularly encouraging, considering that we have to preserve our resources as much as possible. So here is a list of the materials that most recycling centers accept. However, you can also contact your local drop-off facility to make sure they accept your type of waste. Most wouldn’t think of empty food cans and soda cans as a natural resource, but they are. At the moment, Americans dispose of around 2.7 million tons of aluminum – annually. Unfortunately, only about 50 percent of that ends up in the recycling center. In addition to the economic impact, recycling metal also brings enormous environmental savings. For instance, recycling steel and tin cans saves 74 percent of the energy used to manufacture them. We use paper almost on a daily basis. That’s why it’s not surprising that, according to the Environmental Protection Agency (EPA), paper products account for about 29 percent of the municipal waste stream. That’s the equivalent of roughly 71 million tons sent to the landfill. Fortunately, more and more Americans take part in paper recycling programs. In fact, more than 63 percent (45 million tons) gets recycled each year. For perspective, some 334 pounds of paper is recycled for every person in the U.S. According to the latest statistics, glass bottles and jars produced in the U.S. now contain around 27 percent recycled glass. This type of recycling also reduces the energy requirements for producing glass made from new materials. However, we still don’t know how to use all glass for manufacturing other products. Sometimes, doing so is not economically feasible, so not many local recyclers accept glass in their programs. However, if you can send your glass jars to a recycling center, keep in mind that even small amounts of other materials (such as paper or resins) can contaminate entire loads. Even though Americans recycle upwards of 2.4 billion pounds of plastic annually, plastic still makes up only 27 percent of the waste stream. Plastic has become so ubiquitous in our day to day activities that we tend to overlook the cons in favor of the advantages. While it is lightweight and flexible, plastic also depletes our fossil resources and ends up polluting our environment. Used, broken, or obsolete electronics are also known as e-waste. Instead of sending that old PC unit to the landfill – allowing chemical and mineral elements to seep into the ground – donate it to a charity or make sure it ends up in a recycling center. Computer circuit boards contain gold, copper, silver, platinum and palladium, not to mention lead. If recycled properly, e-waste is an invaluable source of reusable materials. There are many methods available for waste disposal, so we will take a look just at the most common ones. Some waste management solutions are greener and more environmentally-friendly than others, as you will soon see. 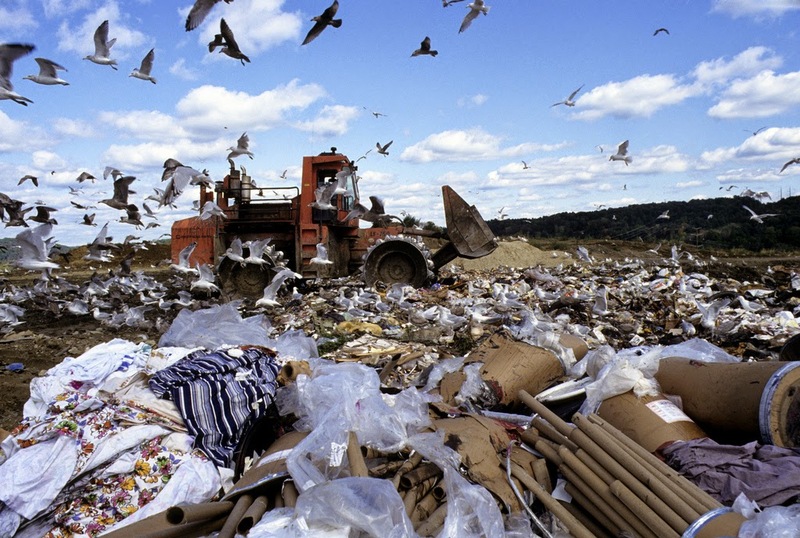 Unfortunately, throwing waste in the landfills is still the most common method of waste disposal. 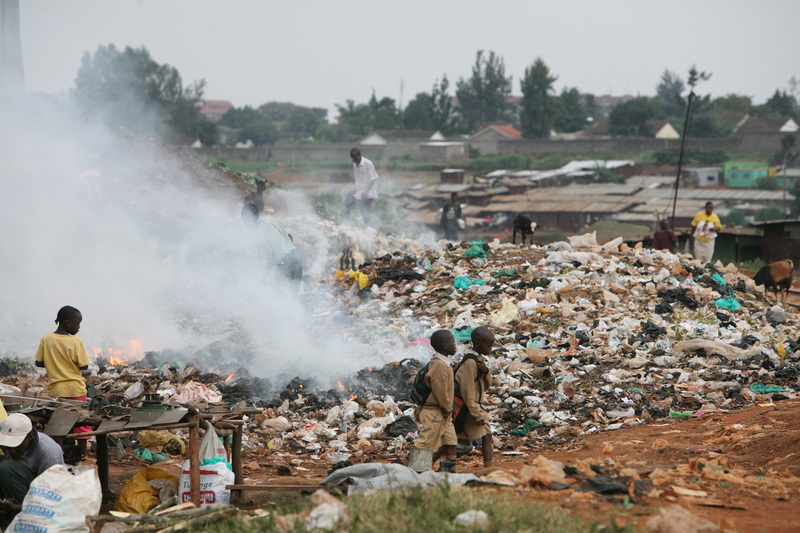 This process focuses on burying the waste in the land, most commonly in developing countries. Before it is placed into the ground, the garbage goes through a process which eliminates the odors and most dangers of waste. While this is the most popular form of waste disposal, governments and environmental organizations are trying to find better alternatives. Landfills will soon become unpractical due to the lack of space available and the strong methane emissions. They also promote air and water pollution, which can prove fatal to humans and animals alike. Resource recovery refers to the process of using discarded items for a second time. These items go through various treatments for recovering or extracting materials and converting them to energy. Recycling, on the other hand, deals with converting waste into new products. Its ultimate purpose is preventing the consumption of new raw materials. Recycling hopes to reduce energy usage, garbage in landfills, air and water pollution, and greenhouse gas emissions. Composting is a natural bio-degradation process that takes organic wastes (garden and kitchen scraps) and turns them into nutrient rich fertilizer for plants. This practice takes place by allowing microbes to decompose organic materials for months on end. Composting is one of the greenest waste disposal methods, but it is slow and takes a lot of space. Last but definitely not least, reducing the creation of waste materials is the easiest method of waste management recycling. In turn, that reduces the amount of waste ending up in landfills. Waste reduction can refer to recycling old materials like jars or bags, repairing broken items instead of buying new ones, and avoiding the use of disposable products such as plastic bags. Check out more Recycling Guidelines that we covered.